We also offer custom printing on our reflective sheetings. 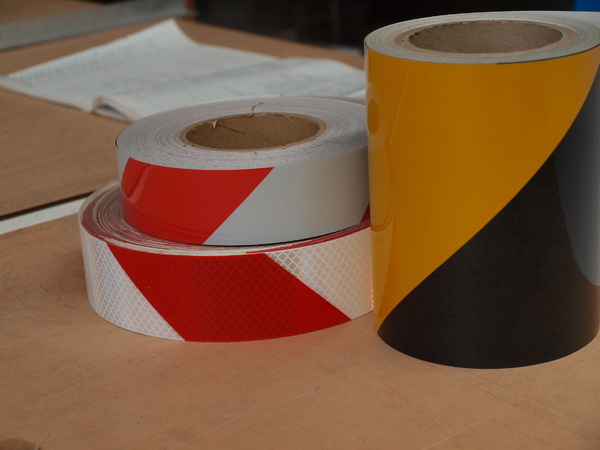 Unlike those cheaper imported ones, ours secure high durability and right performance as we always work with Australian local printing companies who ensure high-quality printing and our reflective sheetings are durable to perform well for a long time (as they meet the Australian standards). 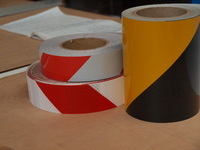 Our standard of zebra stripe pattern is a 45 degree diagonal stripe whose width is 65mm. Available in Black, Red, Blue, Orange, and Green. Minimum quantities do apply, and there is generally a 3-week lead time to ensure the right quality.